In the hands of Saskatchewan74. Use TB4NHJA to reference this item. Diese Geocoin möchte gerne mal bis zu den Bermuda Inseln Reisen und dort mit Foto gelogt werden. This geocoin wants to travel to Bermuda islands. 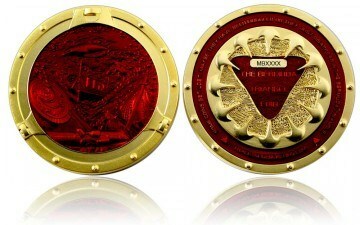 Please log this coin on Bermuda with photo. Bitte gebt diese wertvolle Coin, nur von Cacher zu Cacher weiter damit sie nicht gemuggelt wird. Please share this coin only to other geocachers and do not place it in an unsafe cache.